Comerica has served as the presenting sponsor since the inception of the awards in 2015. The nominations process for the Spirit of Frida Awards is open now. Applications are due April 1, 2019. All candidates should be female, and all candidates should be Hispanic or an amiga (female supporter or advocate who is not Hispanic but has made tremendous strides in support of Hispanic advancements) from the state of Michigan. 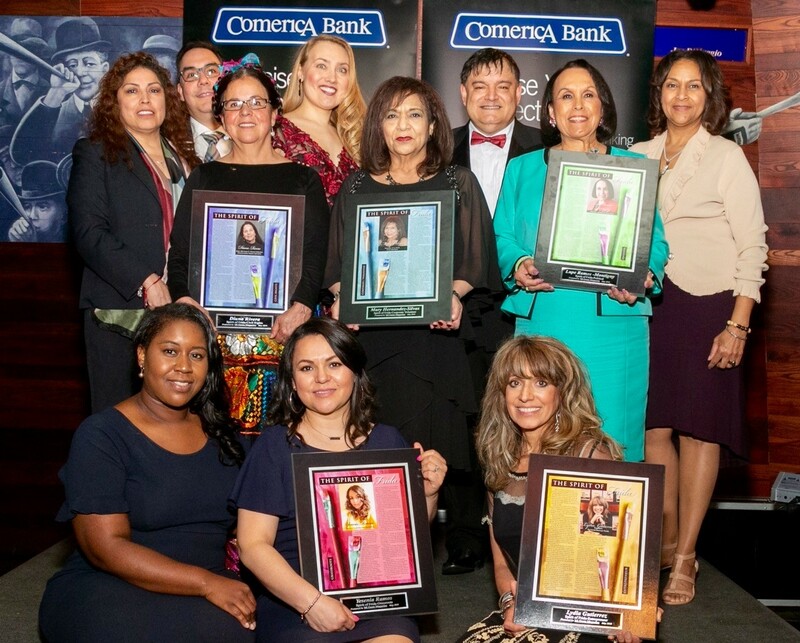 Finalists will be honored at the 5th Annual Spirit of Frida Awards Presentation that takes place Thursday, May 30, 2019 at The Tiger Club at Comerica Park. The Nomination Narrative includes a few paragraphs to why candidate is deserving of award, the challenges the nominee has faced and how she conquered it. Also include a list of community organizations with which the nominee is involved and briefly describe involvement. Visit www.thespiritoffrida.com for more details and to access the application form. Submission: Interest candidates or nominating parties must submit nomination packets via e-mail to SpiritofFrida@gmail.com. The mere mention of their names evokes a sense of excitement. Frida and Diego, Mexico’s legendary artists whose fame continues to soar. In 2015 The Michigan Opera Theatre presented FRIDA at several venues throughout the metropolitan area while The Detroit Institute of Arts hosts the multi-million dollar “Diego Rivera and Frida Kahlo In Detroit” exhibit. What an exciting time it was for any true Frida fans! Take the time to peruse through our gallery of pictures of these events. These events highlighted Diego Rivera’s wife, who accompanied her husband to the city of Detroit from early 1931 to 1933, while he painted the now famous Detroit Industry frescoes at the DIA. The feisty, strong willed, eccentric Kahlo came into her own as an artist while in the Motor City. Married to the philandering Rivera, experiencing a miscarriage at Henry Ford Hospital, and enduring ailments from a bus accident when she was a young girl, were a few of the tragedies she experienced that she later painted. She endured and became an iconic international figure whose popularity seems to have surpassed her revered husband’s. Frida was a woman before her time and had a unique SPIRIT. In 2015 Mi Gente Magazine, in partnership with Comerica, recognized this strong spirit and decided to honor Kahlo with bringing forth these unique awards for women throughout the state of Michigan who exemplified aspects of this spirit of Frida. With a goal to promote positive images of Latinos and their contributions to society, Mi Gente Publications was founded in 1995 and celebrated its 23rd year of publishing in 2018. Comerica Bank, a subsidiary of Comerica Incorporated, has served Michigan longer than any other bank with a continuous presence dating back 170 years to its Detroit founding in 1849. It is the largest bank employer in metro Detroit and has more than 4,800 employees (FTE) statewide. With one of the largest banking center networks in Michigan, Comerica nurtures lifelong relationships with unwavering integrity and financial prudence. Comerica positively impacts the lives of Michigan residents by helping customers be successful, providing financial support that assists hundreds of charitable organizations, and actively participating in Detroit’s downtown revitalization. Comerica Incorporated (NYSE: CMA) is a financial services company strategically aligned by three business segments: The Business Bank, The Retail Bank, and Wealth Management. Follow on Facebook at www.facebook.com/Comerica and Twitter @ComericaBank.